Allan Kaprow's "happenings" and "environments" were the precursors to contemporary performance art, and his essays are some of the most thoughtful, provocative, and influential of his generation. 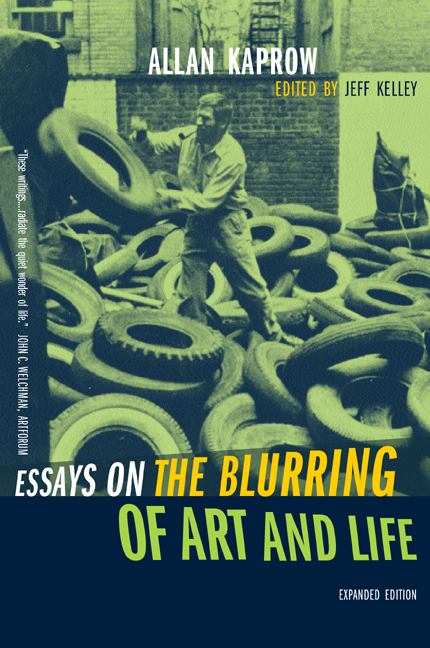 His sustained inquiry into the paradoxical relationship of art to life and into the nature of meaning itself is brought into focus in this newly expanded collection of his most significant writings. A new preface and two new additional essays published in the 1990s bring this valuable collection up to date. Allan Kaprow is Professor Emeritus of Visual Arts at the University of California, San Diego. Jeff Kelley is a critic and teacher.